BARS Consultants provide a specialist consultancy service to the liquor and hospitality industries throughout Queensland. We specialise in looking after the compliance needs of licensed premises utilising our experienced team who have current knowledge in all Queensland liquor licensing and law enforcement matters. It's a fact that licensees often unintentionally overlook their obligations under the Liquor Act 1992 and other obligations relating to security. fire safety, footpath dining, health and safety, and noise. BARS Consultants can give you that expert advice to ensure a fresh set of eyes confirms that these compliance obligations are met. 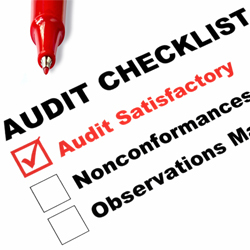 Our Director, Garry Oliver, will conduct all compliance audits as a licensed security advisor (License No: 335030), attending your premises and conducting an audit to establish legislative compliance, training needs and ensure responsible practices are being maintained. The results of the inspection are confidentially referred back to management along with a comprehensive list of recommendations. Ensuring your venue has appropriate measures in place to minimise risk of alcohol related harm on your licensed premises is now more essential than ever. The Office of Liquor and Gaming Regulation (OLGR) has introduced laws that mean if you are given an on-the-spot fine, prosecuted, or subject to Disciplinary Action you may have to pay an additional annual license fee of between $5,000 and $20,000 in the following financial year to keep your license. Overview of current procedures developed to enhance harm minimisation on the licensed premises. Discussion on findings and recommended remedial action to person in charge of licensed premises on the night. All information gathered during any consultation or inspection process will be kept in strict confidence by all staff as outlined in the BARS Consultants confidentially agreement.